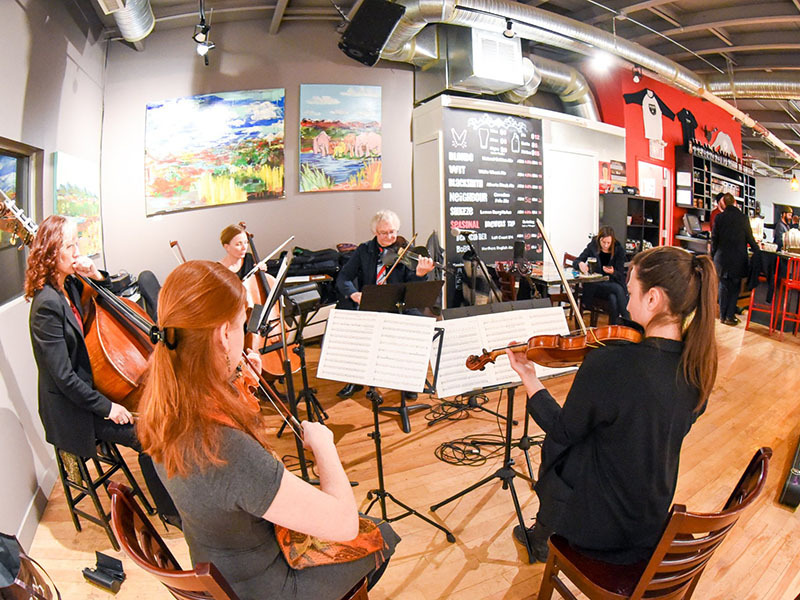 Experience Calgary’s original string ensemble, Kensington Sinfonia, up close and personal this Valentine’s Day and hear the thoughtful musings on our modern age through the songs of Astral Swans. Having played a tour of Japan and shows across Canada in the past year, this is a special opportunity to hear a new collaboration with the Sinfonia ensemble. Come to listen and see that it’s possible to have a quiet, calming night at the brewery. Every ticket includes a pint of Kensington Sinfonia’s special Valentine’s cask—specially brewed for the show by Village Brewery—and a complimentary brewery tour. Catch Village Session with Astral Swans at 8:00pm on February 14, 2019 at the Village Brewery Taproom (5000 12A St. SE). Doors open at 7:30pm and the feature act starts at 8:00pm.